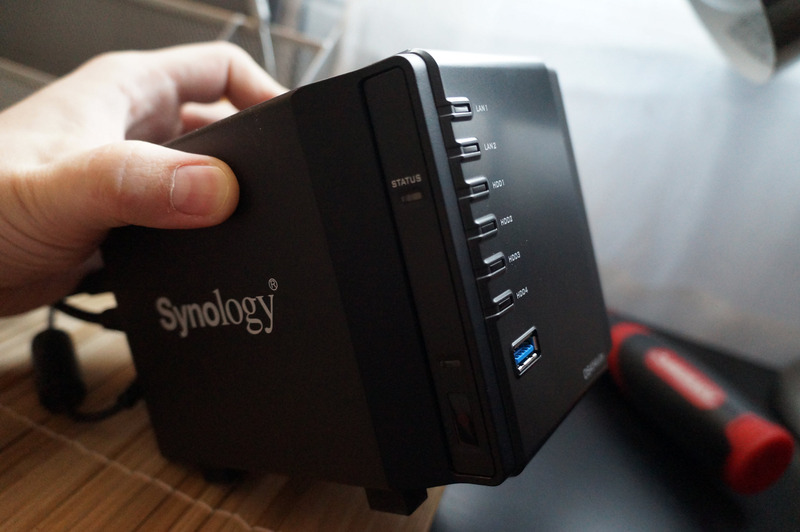 I’ve acquired my third Synology NAS for the home lab – the others being a DS2411+ and DS411. The new one is a DS414slim model (I wrote about it earlier here) with 4x Kingston 240 GB SSDNow V300 SanDisk Ultra Plus SSDs. Note: The V300s are suffering horrible firmware issues and apparently got caught switching out good components for crappy ones. Why all flash? 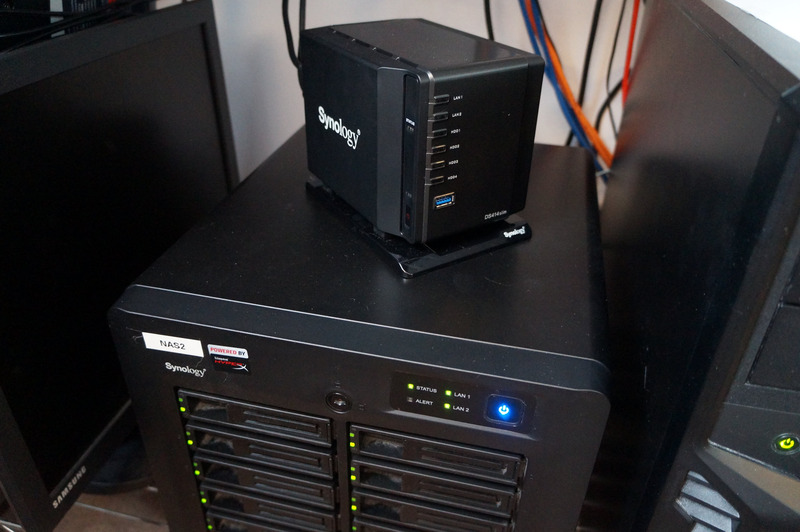 While I certainly don’t expect the Marvell SoC to stress out the SSDs, it’s certainly much more convenient to push the bottleneck away from spinning disks and onto the NAS itself. And with the price of flash being relatively affordable these days (the Kingston drives were $99 a pop), I don’t see why anyone would go with HDDs unless large capacity was part of their requirements or a super-tight budget was one of their constraints. 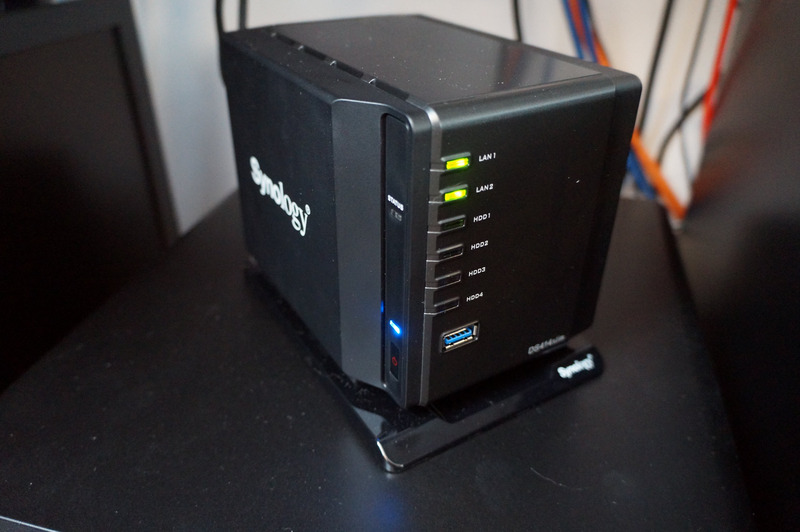 This post will review the unboxing experience and the initial setup of the NAS. 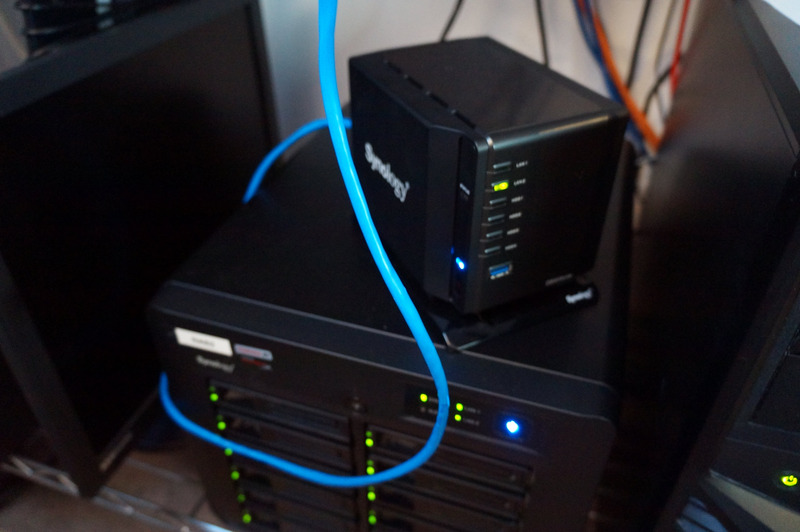 I’ll follow up with another post with benchmarks via iSCSI and NFS and overall impressions from working with the unit. A few questions have rolled in. @ChrisWahl I’m glad to see you color code your network cables like I do 🙂 What are you going to do w/ the < 600GB usable space? It’s about 700 GB of flash usable in RAID 5. 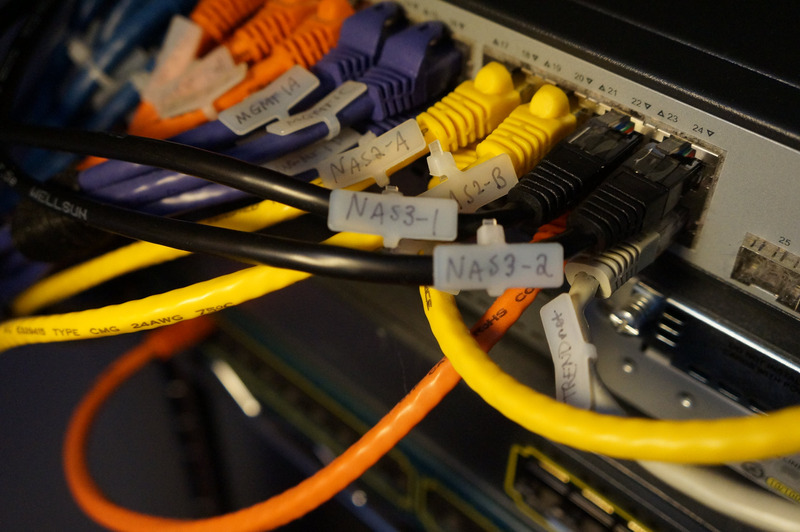 This NAS will be used for virtual machines and general testing of various storage protocols for different software applications – sort of like a “non production” NAS in the lab. 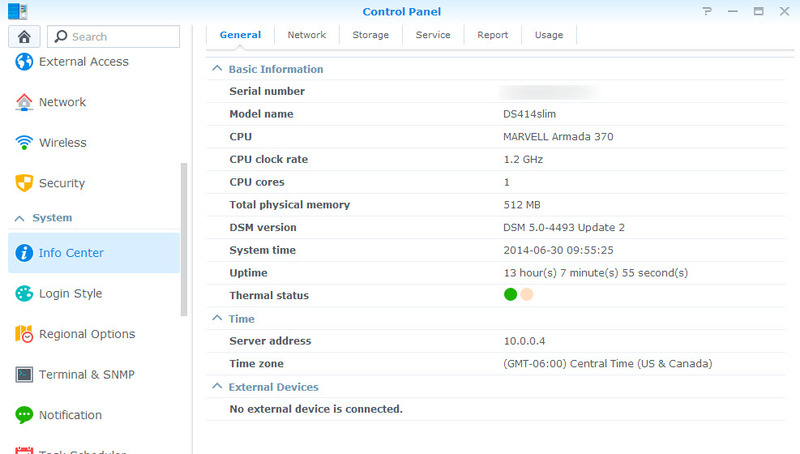 Additionally, I’ve found that my 2411+ is using just under 400 GB of space across 30ish virtual machines. Yes, it’s very small. To give perspective, the length of the unit is about as long as a modern cell phone. The issue with HDDs is IOPS. They can produce so few that a 3+1 RAID 5 set of spinning disk would not do much good for virtual machines. Flash eliminates this concern, although I understand that I’ll never stress out the SSDs with this config. It’s all about shifting the bottleneck. @ChrisWahl Nice! Does the slim support VAAI then? I thought they only supported it on the “+” ranges? The slim does not support VAAI. If you’re into the unboxing experience, I’ve recorded an HD video of the magical event. 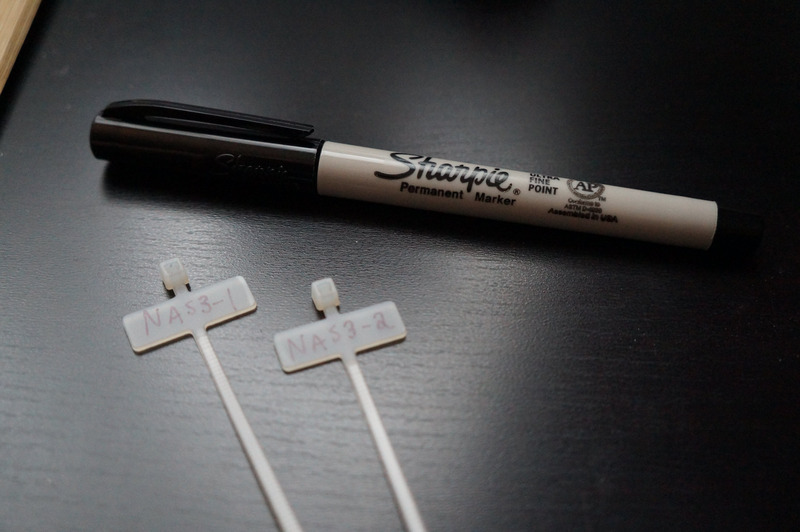 Here’s a series of photos I took while setting up the DS414slim in the lab. A test fitting of the power and network cables. 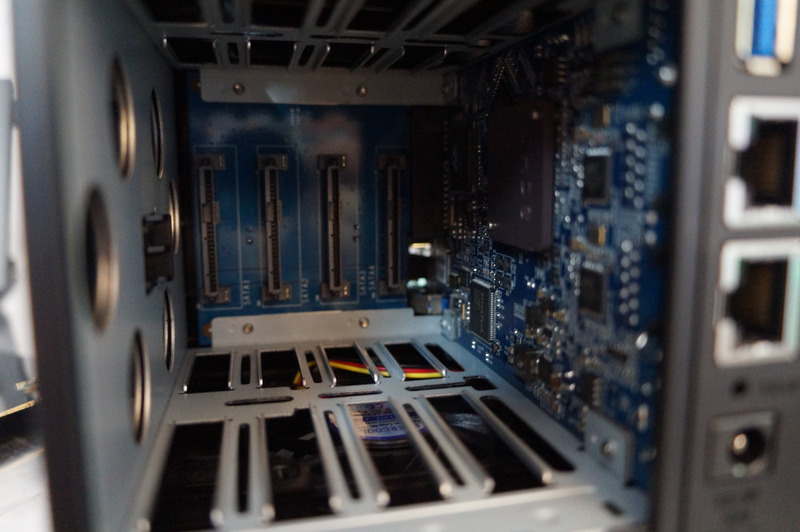 All cables attached, all drives inserted. Test fit complete! 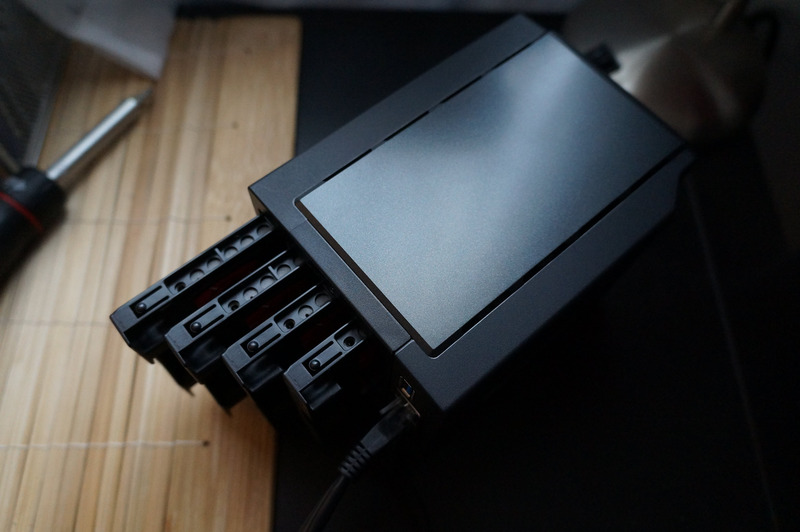 The DS414slim will sit on my DS2411+ … for now. Just a heads up about those drives – Looks like they are not running the same NAND that they were initially released with. 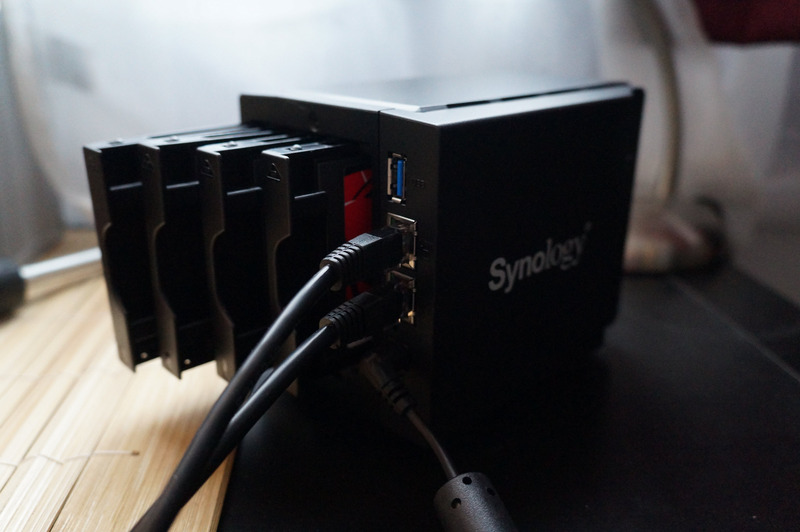 Is this little unit good for hosting a few vms for a two node (whitebox shuttle) cluster?? I believe so. 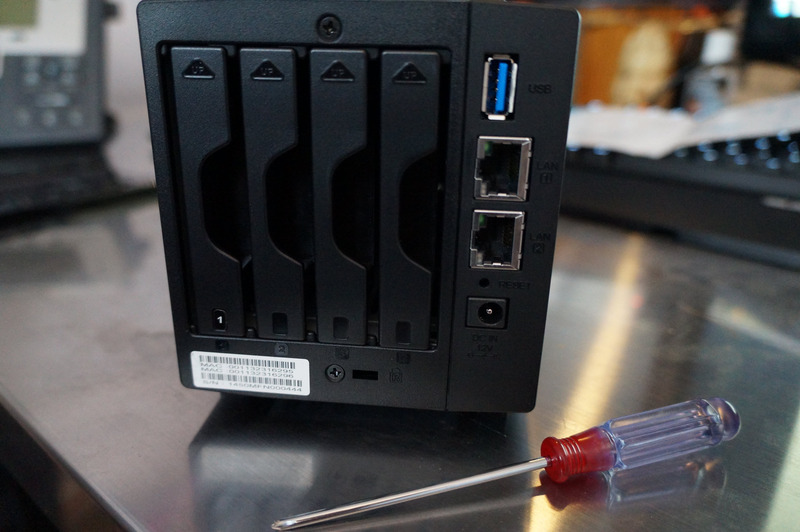 I would imagine you could get a good handful of VMs running on this NAS and will test it for a future post. I did see you were going to post on the performance/benchmarks etc. 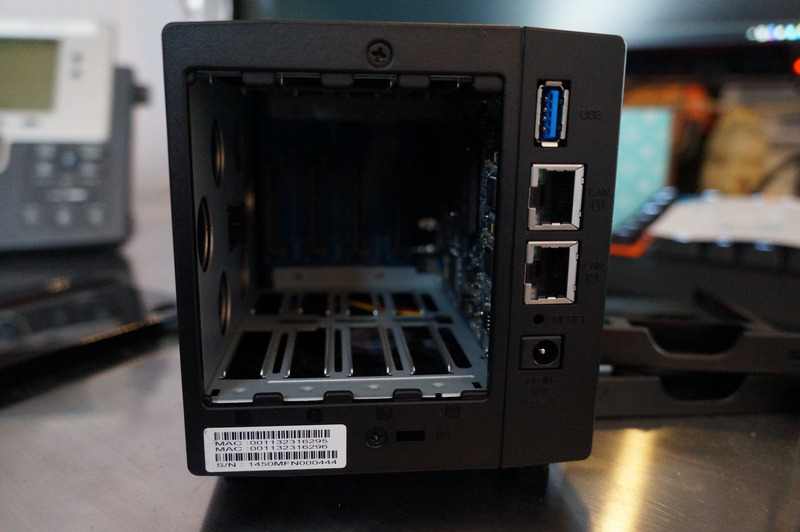 Look forward to the future post, would really appreciate your input/feedback as this looks like the unit that could be perfect for me, already have four Samsung SSDs awaiting a unit. 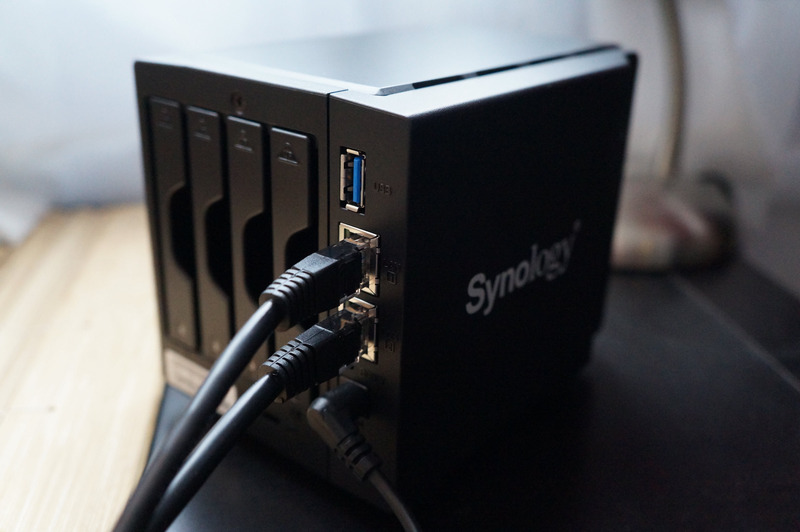 Just ordered one of these w/ 4 120GB SSD drives. Your setup is only as fast as your slowest component. In the case of an all flash array, the bottleneck will be your network, not the array. Well, not so much. A 1 GbE link can transfer about 25,000 4K blocks per second with standard Ethernet overhead assumed. 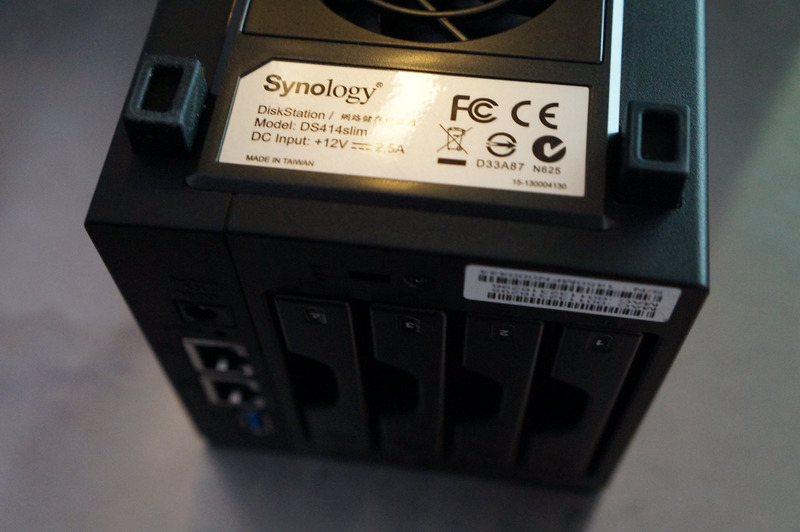 The DS414slim’s CPU would choke on that much IO long before the network would.